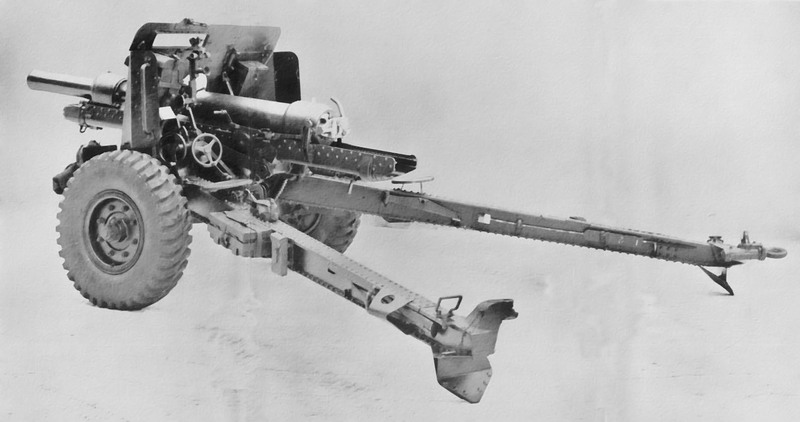 The 18-pr Gun was one of the two field equipments that provided the backbone of the British artillery in World War 1, it had entered service in 1904 and by 1919 had reached the Mk 4 gun on Mk 4 carriage. In 1923 the Mk 5 carriage was introduced and later all existing marks were adapted for vehicle towing, initially with solid rubber tyres ('R' which could also be used with horse draught) and then pneumatic tyres, 'P'. Older model guns Mks 1 & 2 remained in service with their carriages (pole trail) modified to Mk 2P for vehicle towing. The 18-pr was used by the BEF in 1940 and was also used that year in North and East Africa and in very small numbers in Hong Kong, Malaya, Borneo and Burma in late 1941 and early 1942. 18-pr used a fixed round, there was a reduced charge round for training use. The full charge for earlier Mks of gun was smaller. The 18-pr evolved throughout its life. The Mk 4 gun was a major change (there was no Mk 3), and the 4A and 4B introduced autofrettaged barrels to replace the original Mk 4 and earlier wire-bound types. The Mk 4 carriage replaced the pole trail with a box trail and introduced a platform. Mk 5 carriage was a split trail design. Note 2 - Streamline shells were only available with HE or bursting smoke (WP), they were introduced after WW1. Earlier shells (called Mk 2 in WW1) were 2 crh. 26/Manuals/618 18-pr Mks 1 - 4, 2 CRH Shrapnel, 4/7� CRH HE, 1929. 26/Manuals/1025 18-pr Mks 1 - 5, 2 CRH Shrapnel, 4/7� CRH HE, 1929. 26/Manuals/1454 18-pr Mks 1 - 4, 2 CRH Shrapnel, 4 CRH HE, 1937. 26/Manuals/2576 18-pr Mks 1 - 4, Full Charge, 2 CRH Shrapnel, 4/7� CRH HE, 1940. 40/WO/7366 18-pr QF Mk 4, Carriage Mks 3 & 3*, 1920. 40/WO/7366 18-pr QF Mks 1 - 2, Carriage Mks 1* & 2, 1923. 40/WO/9030 18-pr QF Mk 4, Carriage Mk 5, 1924. 26/Manuals/472 18-pr QF Mk 4, Carriage Mk 3T, 4 & 5, 1928. 26/GS Pubs/118 18-pr QF Mks 1 - 2*, Carriage Mk 1 - 2* 1939. 40/WO/8218 Ordnance, QF, 18-pr Mk 4 Gun on Mks 3, 3*, 3t,4 & 5 Field Carriage, 1924. 26/Manuals/351 Ordnance, QF, 18-pr Mks 1 & 2 Guns on Mks 1 to 2R Field Carriage, 1929. 26/Manuals/719 Ordnance, QF, 18-pr Mk 4 Gun on Mks 3t, 3tr, 4, 4R, 5 & 5R Field Carriage, 1931. 37/Guns/1085 Ordnance, QF, 18-pr Mk 4, 4A & 4B Guns on Carraiges Mks 3T, 3TR,4, 4P & 4R, 1938. 26/Manuals/2279 Ordnance, QF, 18-pr Mks 1 to 2* Guns on Carriages Mks 2, 2P, 2PA & 2R, 1940. Ordnance, QF, 18-pr Mks 1 to 2* Guns on Carriage Mk 2P (LP) Field Carriage, 1940. Ordnance, QF, 18-pr Mks 4, 4A & 4B Guns on Carriages, 18-pr Mks 3T, 3TR, 4P, 4R, 5, 5P & 5R, 1940. 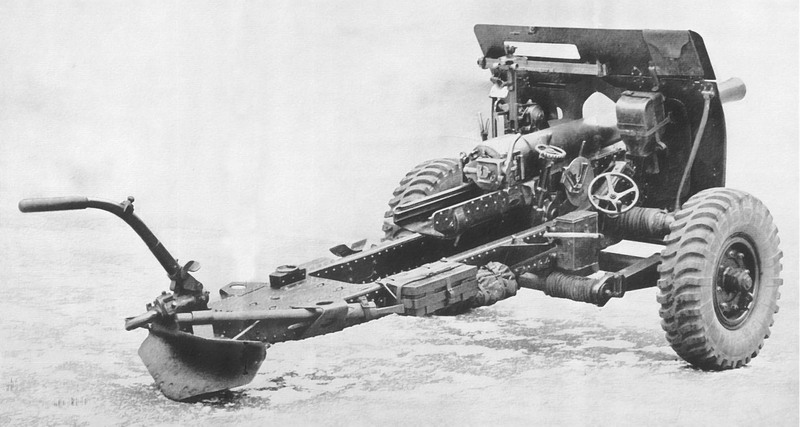 57/Guns/560 QF, 18-pr Mk 4 Gun on Mks 3T - 5R Field Carriage, 1930. 57/Guns/848 QF, 18-pr Mks 1 - 2* Gun on Mks 1* - 2R Field Carriage, 1934. Copyright � 2003 - 2014 Nigel F Evans. All Rights Reserved.